Comments: WE HAVE NUMEROUS COPIES. PAPERBACK. INCLUDES CD. Light storage wear on cover, corners and edges. 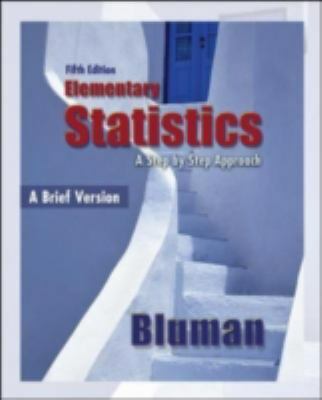 Bluman, Allan G. is the author of 'Elementary Statistics: A Brief Version', published 2009 under ISBN 9780073386096 and ISBN 007338609X.